Quek Leng Chan was born in 1941 in Singapore of Han Chinese ancestry – other details about his birth date and place are unknown in the media. He is a businessman, best known to the world as the co-founder of the Hong Leong Group Malaysia, which is a conglomerate, owning companies in several industries, including finance, property and infrastructure development, and many others. Have you ever wondered how rich Quek Leng Chan is, as of mid-2016? 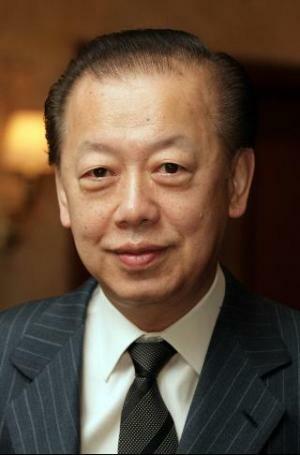 According to authoritative sources, it has been estimated that Quek Leng Chan`s net worth is as high as $5.5 billion – although exact details can vary from day-to-day – which has been accumulated through his successful career as a businessman, owning several companies, in different industries during a career in business now spanning over 50 years. Quek went to Victoria School in Singapore, and after earning high honors, he enrolled in the Middle Temple in London, UK, where he eventually qualified as a barrister at law. After graduation, he focused on his career, and having inherited a considerable amount of money from his father, was able to establish the Hong Leong Group as a trading company, however, Quek`s interests grew and spread over time. Nowadays, he owns 14 companies under the umbrella of the Hong Leong Group, including HLG Capital, Guoco Group, and Hong Leong Bank, among others, which are all leaders in finance, real estate and manufacturing, among other areas of business. As his business has grown, so has his net worth, and now amounts to a minimum of $5.5 billion, making him one of the richest people in Malaysia, according to Forbes magazine. Quek sits in the director`s chair of several companies, including Hong Leong Industries Berhad, Hume Industries, HLG Capital Berhad, Hong Leong Islamic Bank Berhad, Hong Leong Assurance Berhad, Hong Leong Foundation among many others, which also contribute a substantial amount to his net worth. Quek is the manager of the Hong Leong Group`s Malaysian operations, and his cousin Kwek Leng Beng is the one responsible for the success of the Hong Leon Group in Singapore. When it comes to speak about his personal life, Quek is married and has a daughter and a son. However, other details of his marriage are unknown to the public. In the past, Quek was diagnosed with a benign brain tumor, however, he underwent an operation, and since then has completely recovered.